Animated STAR TREK - "Beyond the Farthest Star"
Kirk and crew beam aboard a huge derelict starship from an insect race, and learn that the ship's crew self-destructed rather than carry a still-living malevolent entity to other worlds. PSA epilogue for "Beyond the Farthest Star"
This was the first episode of the animated series and first aired on September 8, 1973, exactly seven years to the day that the first episode of the original series aired. In the original series the bridge of the U.S.S. Enterprise had only one exit - seemingly a design flaw. 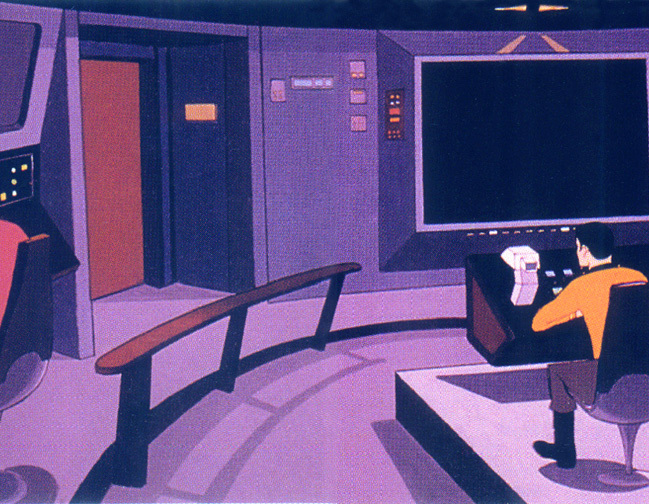 This episode featured the first appearance of the second exit on the ship's bridge (pictured), located just to the left of the main viewscreen. 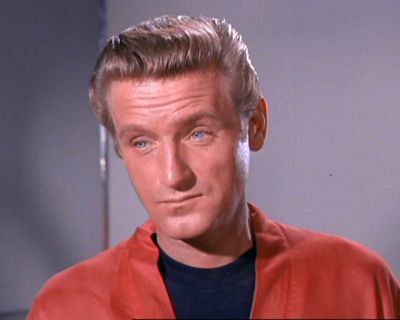 This episode's author Samuel Peeples previously wrote "Where No Man Has Gone Before", the second pilot for the original STAR TREK series. Samuel Peeples later became a writer on "Space Academy" which was a half-hour live-action series produced by Filmation which aired in 1977. He later became the story editor on "Jason of Star Command" a live-action spin-off of "Space Academy." James Doohan was a regular in "Jason of Star Command", playing Commander Canarvan. 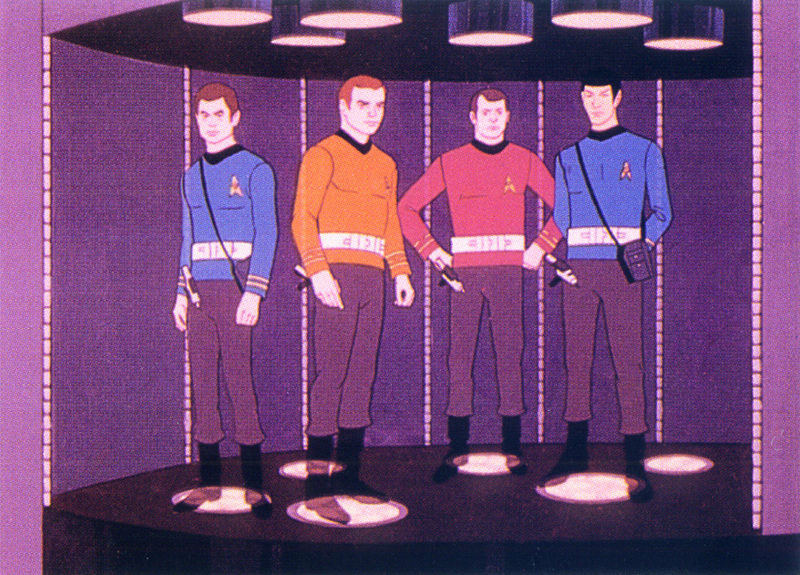 The series was produced by Filmation, and aired in 1978 and 1979. 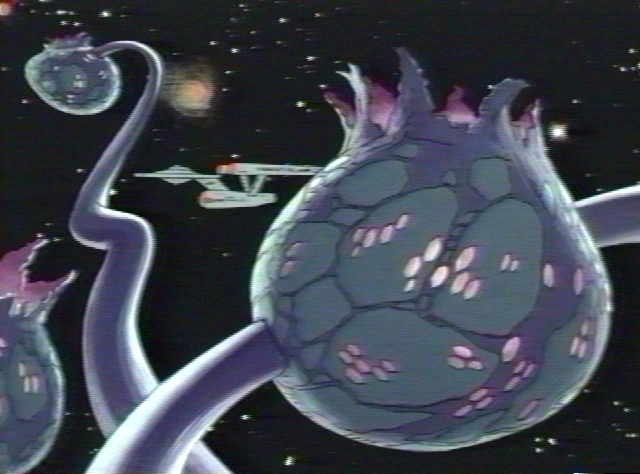 The huge pod spaceship featured in the episode would have been cost prohibitive to do in a live action series. There is a page in this site that focuses on the Ancient Pod Ship that featured prominently in this episode. Transporter Chief Kyle appeared in this episode sporting a mustache. Lieutenant Kyle was first seen in the original series episode "Tomorrow is Yesterday" and was portrayed by John Winston (pictured) in ten original series episodes. The animated Kyle was voiced by James Doohan. 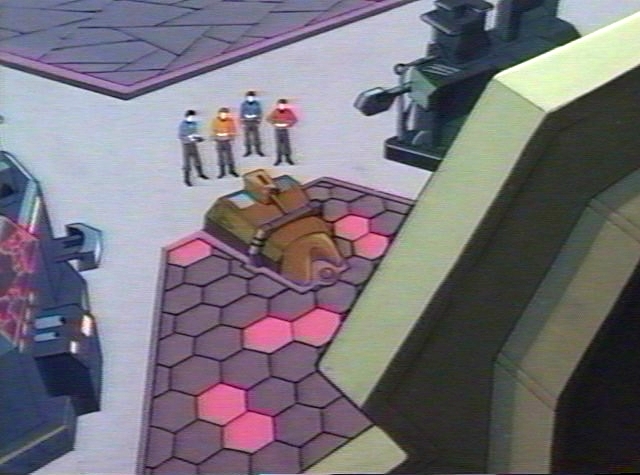 In this episode the bridge defense system was seen and played a major part in the story. This system would have been cost prohibitive to do in a live action series. 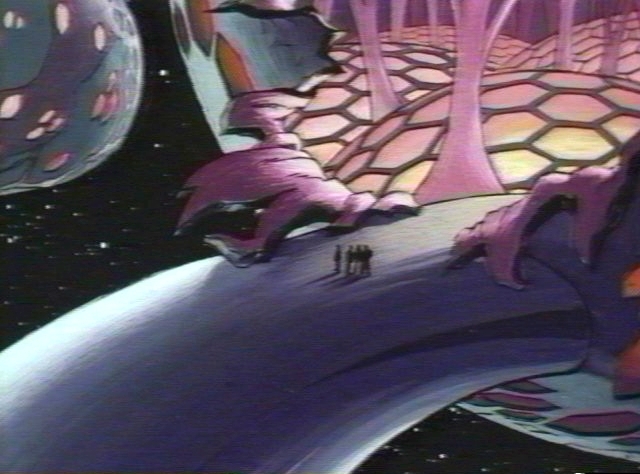 This episode marked the first appearance of the life-support belts on the animated series. These were belt-mounted one-man force field generators used by Starfleet personnel when they were required to enter uninhabitable environments. In terms of series production, these belts were a cost-cutting measure so that animators didn't have to redraw the characters wearing space suits. This episode's stardate was listed incorrectly as 5521.3 in every published episode guide to the animated series, starting with Bjo Trimble's STAR TREK Concordance. This episode saw the use of the cutter beam. The cutter beam is a powerful hand-held industrial laser torch used aboard Starfleet vessels for cutting through hull metal and other dense materials. 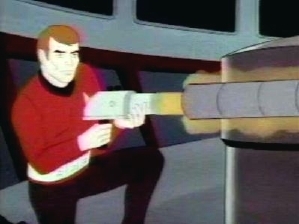 The cutter beam was seen in some original series episodes. The "slingshot effect" was used in this episode. The maneuver was seen in the original series and in the feature film STAR TREK IV: The Voyage Home. A Limited Edition Collectors Cel inspired by this episode was once available from Tuttle Enterprises. The cel was number ST-16. "Beyond the Farthest Star" was novelized by Alan Dean Foster in Star Trek Log One published by Ballantine Books in June 1974. Also novelized in the book was "Yesteryear" and "One of Our Planets Is Missing".